Heather Joseph serves as SPARC’s Executive Director, leading the strategic and operational activities of the organization. She has focused SPARC’s efforts on supporting new models for the open sharing of digital articles, data and educational resources. Under her stewardship, SPARC has become widely recognized as the leading international force for effective open access policies and practices. A firm believer in collective action, she has bolstered SPARC’s mission through the development and leadership of effective coalitions. She convenes the Alliance for Taxpayer Access and the Open Access Working Group, broad coalitions of university, library, advocacy, and consumer groups that serve as leading voices on U.S. open access policies, including the landmark National Institutes of Health (NIH) public access policy and a White House Directive. She is particularly proud to have supported the creation and launch of SPARC’s student Right to Research Coalition, an international advocacy organization that now provides nearly seven million students worldwide with opportunities to actively engage advocacy for the open sharing of research outputs and educational materials – often in partnership with the library community. Prior to joining SPARC, Heather spent 15 years as a publishing executive in both commercial and not-for-profit organizations. She was the publisher of the first journal to commit its full content to the NIH’s pioneering open access repository, PubMed Central, and subsequently served on the National Advisory Committee for this initiative. She is also the founder BioOne, a collaborative publishing organization designed to keep non-profit publishers operating independently. Heather is an active participant on committees and projects at several U.S. federal agencies. In 2015, she was appointed to the newly-formed Commerce Data Advisory Council and tasked with providing input to the Secretary of Commerce on issues surrounding open data. She serves on the Board of Directors of key non-profit organizations supporting the open sharing knowledge, including the the Public Library of Science (PLOS), DuraSpace, EIFL, the Center for Open Science, and ImpactStory. Heather is a frequent speaker and writer on topics relating to opening up access to knowledge, and particularly enjoys spending time in SPARC’s member libraries. Nicky Agate is the assistant director of scholarly communication and projects at Columbia University, where she leads a team that works on digital humanities initiatives, digital publishing, and the institutional repository. She is a co-PI on the HuMetricsHSS initiative, which seeks to establish a framework for values-based assessment and evaluation in the humanities and social sciences, and a founding editor of The Idealis, an overlay journal that promotes quality open-access scholarship about scholarly communications issues. She serves on the research committee of the Library Publishing Coalition and the editorial board of the Journal of Librarianship and Scholarly Communication. Frances Chang Andreu is the Digital Initiatives Librarian at the Rochester Institute of Technology there she manages the Open Access institutional repository, RIT Scholar Works. In this capacity, she provides support for copyright and authors rights, and advocates for Open Access on campus. She also works with digitization and digital preservation projects and policies as they arise at RIT Libraries. Jessica Clemons is the Associate University Librarian for Research, Education, and Outreach at the University at Buffalo, where she manages the university’s subject and liaison librarians, and oversees the use of scholarly information by faculty and researchers. Jessica also leads UB’s open educational resource project, a SUNY initiative designed to encourage faculty to adopt free and public learning materials. serves the School of Industrial and Labor Relations, where Jim also provides research and instruction support. Jim has served as the founding chair of the Cornell University Library’s Repository Executive Group, and currently serves on the steering committee for the Scholarly Communications Working Group. Shafeek Fazal is Stony Brook University’s Interim Dean of Libraries. Shafeek has played a strong leadership role in advancing scholarly communication initiatives at SBU and throughout SUNY, notably the SBU Open Access Policy. Curt Friehs has over 13 years of experience working as a librarian in academic and public libraries. Over the years, Mr. Friehs has presented at American Librarian Association Annual Conferences, the Charleston Conference, as well as a number of regional library conferences. His research interests include consumer advocacy, technology trends in libraries, as well as organizational behavior and fostering creativity in libraries. Laurie Kutner is a Library Associate Professor in the Information and Instruction Services Department at the University of Vermont Libraries, with subject specialties in environmental information, anthropology, geography, and global studies. She has worked with the Monteverde Institute in Costa Rica for over 10 years, focusing on library operations, the ramifications of unequal access to information, and utilizing MLIS interns on-site to assist in expanding access to locally relevant research and educational materials. She has Master’s degrees in LIS and Anthropology, from Syracuse University. Mark McBride is the Senior Library Strategist in the State University of New York Office of Library and Information Services. He coordinates and leads myriad open access initiatives, including the development and adoption of Open Educational Resources, and advancing the SUNY Open Access Policy. Harry Nuttall is an Associate Professor and the Literature Librarian at Jacksonville State University’s Houston Cole Library in Alabama, US. He has more than 30 years of experience in library instruction and reference services. He has published various scholarly articles, and book chapters on a wide range of topics in librarianship and education. Many of his publications have been selected for presentation at a variety of conferences. Open Access initiatives, and advises on scholarly communications issues and copyright. Amanda is a current university senator, and serves on the Syracuse University Libraries Digital Library Program and Licensing Principles Committees. She is a current associate editor of the DOAJ. Megan Wacha advances equitable access to information through her dual roles in libraries and the Wikimedia movement. As the Scholarly Communications Librarian for the City University of New York, she leads CUNY’s 31 libraries in the development and management of CUNY’s open access institutional repository, CUNY Academic Works. Megan is also an active Wikipedian and the President of Wikimedia NYC, a volunteer run non-profit that connects New Yorkers and New York institutions with Wikipedia, Wikimedia, and the larger free culture movement. Hanrong Wang is a Professor and the Law/Technology Librarian at Jacksonville State University’s Houston Cole Library in Alabama, US. She has more than 20 years of experience in library instruction and reference services. She has published various scholarly articles, book chapters, and books on a wide range of topics in librarianship and education. Many of her publications have been selected for presentation at a variety of conferences. 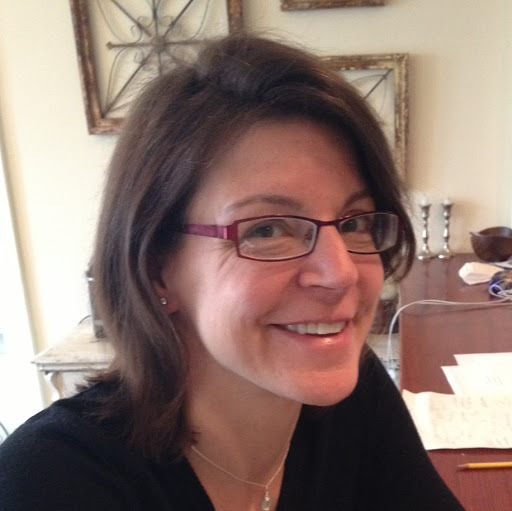 Madeline Cohen is Associate Professor and Head of Reference at Lehman College (CUNY). She is co-coordinator of the OER initiative and the institutional repository, Academic Works, at Lehman. She has served as co-chair of the LACUNY Scholarly Communications Roundtable. She is the author of“Learning the Basics of Scholarly Communication: A Guide for New Subject Liaison Librarians” in Codex: The Journal of the Louisiana Chapter of the ACRL, (4)3, 2017. Beth Evans is an associate professor and the electronic services and scholarly communications librarian at Brooklyn College of the City University of New York (CUNY). She has worked closely with issues around scholarly communications, copyright, author rights and predatory publishing for a number of years. In 2005 she co-chaired the Library Association of the City University of New York Institute, “Scholarly Publishing and Open Access: Payers and Players,” featuring Nobel Prize winner, open access advocate and developer of PLoS, Dr. Harold Varmus. She currently is a co-coordinator of the Brooklyn College series in CUNY Academic Works and serves on the CUNY Scholarly Communications Committee. librarian for CUNY’s diverse student and faculty population. She is also excited about CUNY’s commitment to Open Educational Resources as textbooks to cut the costs of education but not the quality of education for students. Jessica Koos is a Health Sciences Librarian at Stony Brook University, where she is liaison to the School of Medicine, Program in Public Health and Department of Biomedical Informatics. Her research interests include scholarly communication, research data management and instructional technology. Jean-Paul Orgeron is a Senior Assistant Librarian at the State University of New York at Oneonta, where he also teaches in the Department of Philosophy. He received his BA and MLIS degrees from Louisiana State University and the PhD from Tulane University. Jean-Paul’s research interests are mainly in the philosophy of perception and language. His recent paper, “Understanding the Language of Information Literacy,” appeared in the Journal of Academic Librarianship. A regular contributor to Choice Reviews, Jean-Paul is also an active member of the Eastern New York Association of College and Research Libraries. Laurel is a Health Sciences Librarian at Stony Brook University. She is the Liaison to the School of Social Welfare and the Long Island Veteran’s Home. She previously worked for Touro College School of Health Sciences for 6 years as a Reference Librarian. She holds an MS in Library Science from Long Island University and a BS in Dietetics from the University of Maryland. Gregg Stevens is a health sciences librarian at Stony Brook University. He is the liaison to the university’s School of Nursing and its new School of Pharmacy. His research interests include healthcare education and the use of medical and drug information to improve patient outcomes and reduce health disparities. Leslie Ward is the Emerging Technologies and Digital Scholarship Librarian at Queensborough Community College, of the City University of New York. She received her MS in Library and Information Science from Simmons College and her MA in the History of Medicine from Oxford Brookes University. In her role at QCC, Leslie works to provide access to technology for teaching and learning, specializing in digital media searching and management, copyright, accessibility, and open access. Leslie has presented on open educational resources and online learning in community colleges as well as in her academic specialty, the intersection of mental illness, crime, and experience in the 19th century. Darren Chase is Head of the Center for Scholarly Communication at Stony Brook University. His research interests include open access, scholarly publishing, somatic learning and information literacy. Darren has written and presented widely on myriad scholarly communication topics. He spearheaded the development and eventual adoption of the Stony Brook University Open Access Policy, and coordinates the annual Stony Brook University Open Access Symposium. Kate Kasten is the Head of Humanities & Social Sciences at Stony Brook University Libraries. Kate leads the Libraries’ digital humanities initiative, chairs the Digital Humanities Working Group, and coordinates the work of librarian liaisons to the SBU humanities & social sciences disciplines. Kate’s research interests include the history of the material text, interdisciplinarity in the academic library, and readership studies. Victoria Pilato is the Digital Projects Librarian at Stony Brook University. She is the liaison to the Philosophy and Religious Studies departments and has research interests in Intellectual Property. Victoria is chair of the Stony Brook University Libraries’ Digital Initiatives Working Group. She has a BFA in Printmaking and an MSLIS. Mona Ramonetti is a Science Librarian at Stony Brook University Libraries. She is the liaison to the Life Sciences departments. Her research interests include open access, open educational resources, instruction, information literacy, presentation skills and equity, inclusion and diversity on academic campuses. Clara Tran is a Science Librarian at Stony Brook University Libraries. She is the liaison to the Departments of Chemistry, Engineering, Geosciences, and the Women in Science and Engineering (WISE) Honors Program. Her research interests include bibilometrics, data information literacy, data management, and open access.